Why Alpacas? A very valid question. Why should I buy alpacas? What are they? What do they do? Why should I want to own alpacas? Why are they so expensive? All valid questions that I have been asked numerous times over the last twelve years that we have been breeding these wonderful creatures. Hopefully at the bottom of this page I will have explained why and maybe will have convinced you to seriously think about buying your first alpacas. Alpacas are native to South America in particular Peru, Chile and Bolivia. Alpacas are members of the South American Camelid family. The 'cousin' that you will most likely recognise is the Llama, but also included in this group are the Vicuna and the Guanaco. It is believed that the Alpaca is a cross between the Vicuna and the Guanaco. Alpacas are quite considerably smaller than Llamas and as a result they are very easy to handle. There are no wild alpacas in the world and they have been domesticated for over 5000 years. They were highly prized by the ancient Inca civilisation for their incredibly luxurious, hard wearing and versatile fleeces. There are still millions of alpacas being farmed in South America for their fibre, known as 'The Fibre of the Gods'. It is widely acknowledged that alpaca fibre is the finest natural fibre in the world. Alpacas come in a variety of colours and are sheared once a year to 'harvest' the fleece. A good quality alpaca will produce between 2 and 5 kilos of usable fibre. This doesn't sound a huge amount but when you consider that alpaca fibre is very light it may give you an idea that 5 kilos is quite a lot! Alpaca fibre is not like sheep wool in that alpaca has no lanolin in it and it is much finer and much, much softer. As a result alpaca fibre is virtually hypo-allergenic and can be worn by people who normally are allergic to other sorts of natural fibres. It is a natural fibre that you can wear directly next to the skin. Alpaca fibre has incredible insulating properties, at 9,000ft on the Altiplano temperature plunge to over 10 degrees Centigrade below freezing so it has to keep the alpacas warm. Alpacas have been in the UK for around 25 years and there are now approximately 50,000 alpacas registered with the British Alpaca Society. Each year, thanks to investment in genetics and breeding programmes the fibre on the backs of alpacas is increasing in quality and therefore value. Alpacas have a very strong herd instinct and the minimum number of alpacas for a herd is three. The larger the herd the more secure the alpacas feel. It is not advisable to keep entire males with breeding females. Males will mate with the females and will continue to do so which causes the females stress and the possibility of infection or injury. It is possible to keep castrated males with females provided they have been castrated early enough. It is recommended that males not used for breeding are castrated at 18 months of age. Alpacas do not challenge fences and can be contained easily with sheep stock fencing. They will walk through a gate if it is left open but generally are content, provided they have access to food and water. Alpacas are grazing animals but will also browse hedgerows and trees. They will need good quality hay during the winter months and access to a shelter of some sort to get out of the severe weather. They have adapted to the UK climate and do very well here. Alpacas are lovely, gentle and at times wonderfully silly animals. So why would you or should you own alpacas? There are various reasons why people own alpacas. Alpacas make excellent guards against foxes and other small predators. They will bond quickly and firmly with chickens or sheep and act as guardians chasing away foxes and cats. Alpacas look absolutely fabulous in a paddock grazing. As pets they are very popular for their look, their inquisitive nature and of course the gloriously soft fleece that they grow for us. This can be made into a wide variety of clothing, it is a very versatile natural fibre. Alpacas offer the ultimate in lifestyle farming opportunities - whether you're a serious investor, keen enthusiast, or simply after a fantastic pet, alpacas offer a rewarding experience on a small acreage. Alpacas are very economical to manage and easy to handle. They are gentle, intelligent animals that are genuinely enjoyable to work with - you'll want to get out in the paddocks with them. Becoming an alpaca owner and breeder means joining the development of a new fibre industry. Luxurious alpaca fleece, shorn once a year, is highly prized as one of the world’s finest natural fibres. Superbly soft, silky and incredibly light with a high tensile strength, it is ideal for quality fashion garments, blankets and knitwear. There is a growing niche market for this luxurious fibre both at the local level and on the international scene. Those who direct their efforts into breeding will receive top prices for quality animals and in the longer term, increasingly generous returns for alpaca fleece from a proven luxury fibre market. Alpacas are a viable alternative to traditional farming. There is a growing market for quality breeding alpacas both here in the UK and on mainland Europe. There is a vibrant alpaca community here in the UK, we lead the rest of Europe both in numbers and in quality following 20 years of careful breeding. There are alpaca gentics here in the UK from all over the world. The alpaca shows held here in the UK attract visitors globally because of this quality and the show circuit here is the envy of Europe and beyond. 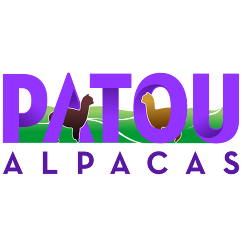 When we started in 2005 we researched the alpaca industry as much as we could. We scoured the web, read everything available and visited places where we knew alpacas would be. We eventually decided on visiting a breeder who was local, enthusiastic and above all proved to be trustworthy. He gave us the benefit of his experience in the alpaca world and gave us advice with no obligation. We were so impressed with his integrity that we bought our first pregnant females from him. We hope to give all our customers the same level of advice and support that we received and still do receive from that breeder, who has become a very good friend of ours. Our integrity as alpaca breeders is paramount to our continuing business and we pride ourselves on our honesty and determination to ensure that owners of our alpacas enjoy owning them and have as much success as we do. If you need further convincing please give us a call, we will happily welcome you to the farm and show you a herd of alpacas that we are very proud of.